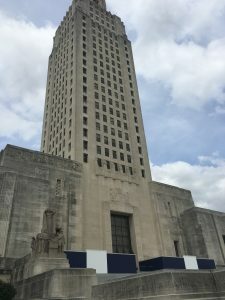 This week began for me with a trip down to Baton Rouge to the state capitol building to present information to our legislators on the impacts of pending legislation on higher education. Unfortunately, some bills that are important sources of revenue that would prevent cuts to higher ed and the TOPS program were not considered, leaving us with some serious gaps for the coming year. We have just a few more days of this special session and are holding out hope that something will happen to minimize any further cuts. The news has not been good with the budget thus far and I hope that our legislative leaders will not relent in ensuring the support that will enable higher ed to continue to fill our important mission of advancing opportunities for all citizens of the State of Louisiana and nation. Budget cuts for higher ed have long-term impacts that are not easily overcome. While in Baton Rouge on Monday, I took the opportunity to visit with EPSCoR program staff to discuss various research programs. Tuesday offered me a day back in the office and I took advantage of that opportunity to schedule meetings with my administrative leadership. I also met with an accreditation team that was on campus to review our counseling services programs. I really enjoyed some special time during lunch to meet with our Orientation Student Leaders and with students who were on campus for transfer student orientation. I also had a visit with a prospective student and her parents who stopped by the office, and then finished my afternoon with a meeting with one of our current students that I had invited to come by to discuss opportunities to enhance our campus diversity. I had numerous meetings with my deans and vice presidents on Wednesday reviewing various projects and activities. 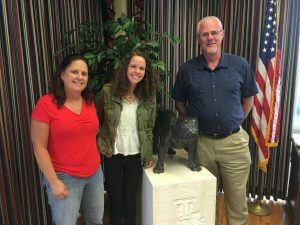 I also met with SGA President Mackenzie Potts to talk about many of her plans for the year and to see what I could do to support her efforts. She is going to provide excellent leadership for our student body! On Thursday, I met with representatives of our food services provider Aramark to hear about their plans for future offerings for our campus. Among numerous other meetings on Thursday, I had a good visit with the Chair of our Athletics Council, Dr. Donna Thomas, who was giving me a report about meetings that she had recently attended with the NCAA and with Conference USA. Donna is doing an excellent job in bringing new perspectives and energy to her position, and I appreciate her efforts to work with me to enhance our athletics program and the experience of our student athletes. 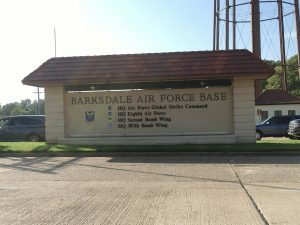 Kathy and I closed out Thursday with a dinner with General Rand and other academic and military leaders at Barksdale Air Force Base. General Rand is a superb leader for the Air Force Global Strike Command, and I learned that his interests in supporting the education and development of airmen are very similar to my interests in our student body. 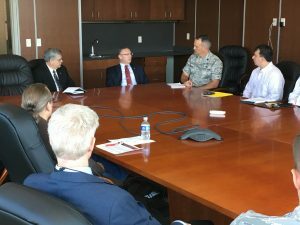 On Friday morning, we had a visit from the Chief Scientist of AFGSC and several other representatives from BAFB and national labs who wanted to come by to meet with our faculty and learn more about our research activities. 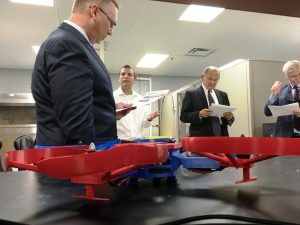 This was an excellent visit and gave me more opportunities to get updates on the impressive research that our faculty and students are doing. Our faculty have had a history of advancing research and discoveries that make our state and nation more secure and prosperous. 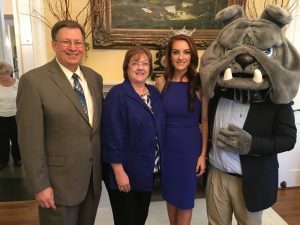 After lunch, Kathy and I stopped by the Ropp Center for the “send off” of Miss Louisiana Tech, Rachel Vizza, to the Miss Louisiana competition. Rachel has had a most significant impact on our campus through her many leadership and service activities. Kathy and I were pleased to visit with her family and friends, and particularly glad to see her sister Lauren Michele who was also a Miss Louisiana Tech and Miss Louisiana. I wish the best to Rachel and our other Louisiana Tech students who are competing in Miss Louisiana next week.